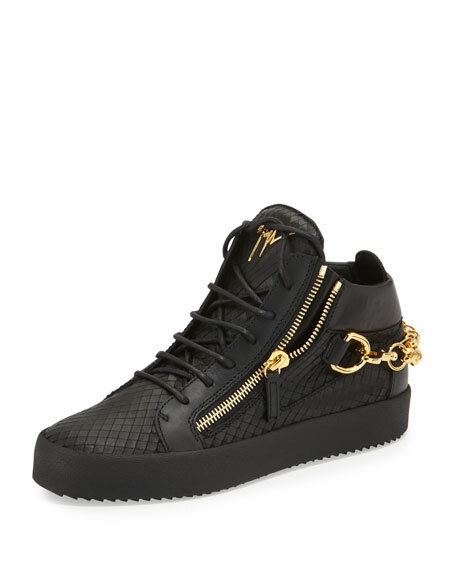 Giuseppe Zanotti mid-top sneaker in python-embossed calf leather. Logo plaque detail at tongue. 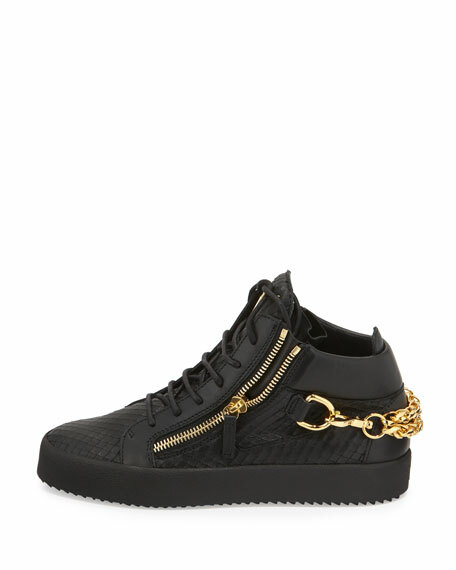 Golden chain link across heel. 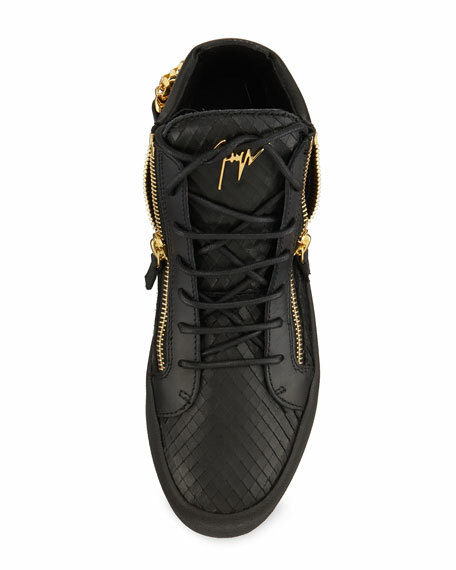 For in-store inquiries, use sku #1626656.